Most of the drinking water in the United States is unnaturally acidic and has a negative impact on your health, your household and your wallet. Acidic water may damage your cells, dehydrate your body and allow undesired consequences to proliferate. The Juuva Energy Cup's unique and portable filtration technology converts everyday drinking water into ionized, alkaline water with powerful antioxidant properties. It further helps micro-cluster the size of the water molecules for better hydration. Improves water’s pH, resulting in greater systemic acid/alkaline balance. 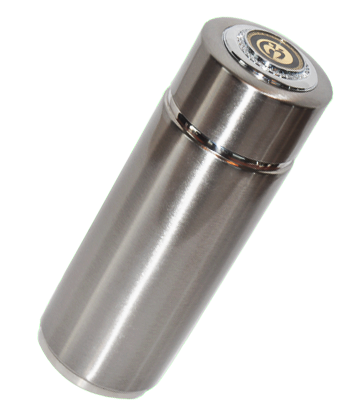 Helps filter chlorine and other contaminants resulting in smooth, sweet tasting water. Provides natural far infrared ionization and other non-toxic processes to improve water quality. Supplies active hydrogen ions to help deoxidize water. The processed junk foods we eat, the soda pop and alcohol we drink, the sugary and salty flavors we love, the contaminated air we breathe … are all turning our bodies acidic by lowering its natural pH. Our body’s optimum pH ranges from 7.2 to 7.4. When the pH falls below that optimal range, disease proliferates. Alkaline water helps to neutralize acidic waste and flush it from the body. Documented in one study after another, when your pH is 7.2, the environment inside your body is disease resistant. The Juuva Energy Cup produces water conducive to healthy living by increasing the pH of water by two points or more … often taking the pH of the water to a desired 9.5. Your body uses this alkaline water to restore balance and stop acidic degeneration in its tracks. When you first receive a Juuva Energy Cup rinse with hot water several times to remove loose debris from the filters. Once that has been completed the Energy Cup is ready to use and should produce a pH of 9.0 to 9.5. Start by shaking 10 ounces of water in the cup, pour and enjoy. Increase the number of servings you drink as wanted. Can I put any liquid besides water in my Energy Cup? Do not pour thick liquids into the cup. Can I make tea in my Energy Cup? Do not use the Energy Cup to soak tea. This will stain the cup and cover the energy molecules needed to make the cup effective. Instead, pour hot water into the cup, let sit for one minute, then pour into another cup to make tea. Can I heat the Energy Cup in the microwave or over a fire? Do not put the Energy Cup in the microwave or over fire. How long can I expect to use my Energy Cup?